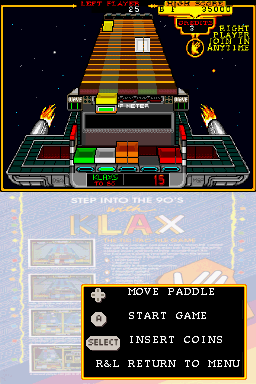 PuzzleKlax is an arcade emulator for two games : Klax and Tetris. To use this emulator, you must have MAME compatibles ROMS with ZIP format. Do not ask me about ROMS, I don't have them. A search with Google will certainly help you.